It has been a difficult year for South Africa. In September the World Bank downgraded South Africa’s 2017 growth forecast to 0.6 percent, down from 1.1 percent at the beginning of the year. To get ahead the South African economy is in urgent need of more entrepreneurs to boost growth, foster innovation, and aid in job creation. The reality is that much more must be done to create an enabling environment for entrepreneurship to truly flourish. As we enter Global Entrepreneurship Week and acknowledge Women’s Entrepreneurship Day on 17 November, it is worthwhile to take stock of the current entrepreneurial landscape in South Africa and seriously question how best to forge ahead. This is especially important considering government’s National Development Plan places the onus on small and expanding businesses to create some 90 percent of new jobs, with the ultimate goal of reducing unemployment to just 6 percent by 2030. This is no small task given that in real terms the country needs to create about 11 million more jobs in the next 12 years supported by an average economic growth of 5.4 percent every year over the period to achieve that aim. Couple this with the World Bank’s projection that for 2018 and 2019 South Africa’s GDP growth is expected to pick up to a meek 1.1 percent and 1.7 percent respectively and it becomes clear that decisive action is urgently required. Earlier this year Seed Academy conducted South Africa’s largest entrepreneurial survey, the Real State of Entrepreneurship in South Africa 2017. The survey canvassed over 1,200 entrepreneurs at any stage of business development to understand the nature of the challenges faced by entrepreneurs in key areas such as access to funding, business support and skills development. South Africa needs to significantly scale and improve the efficiency of SME funding especially in light of the fact that most early-stage business funding requirements are below R100k. In addition, further research indicates that while it is critically important to encourage new entrepreneurs, it is equally important to provide support to growing SMEs which only start to meaningfully contribute to job creation when they grow to R2 million or more in turnover. 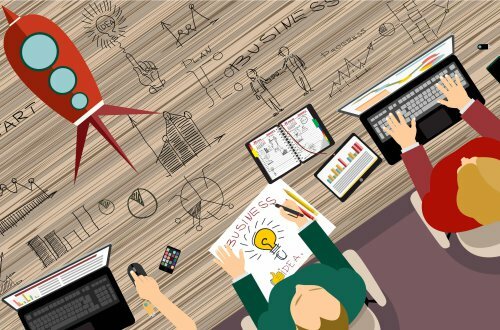 The Global Entrepreneurship Monitor (GEM) report for 2016/2017 notes that Africa is the region reporting the most positive attitudes towards entrepreneurship, with three quarters of working-age adults considering entrepreneurship a good career choice while 77 percent believe that entrepreneurs are admired in their societies. In South Africa the right attitudes to entrepreneurship deserve the right support. By way of comparison, in Rwanda it takes an entrepreneur 12 days to register and start a business, while here at home the same process takes an average of 45 days. National policy makers should take note of this and focus on regulatory reforms to make it easier for new businesses to register and operate. The recent GEM report highlights that countries with high rates of entrepreneurial success also have effective support structures from private and public sectors as well as established mentorship programmes for both aspirant and current entrepreneurs. Seed Academy’s own entrepreneurial survey shows that local entrepreneurs see immense value in participating in training programmes with 78 percent of respondents indicating that they had engaged in entrepreneur training programmes or were part of an incubator at some point. Corporate enterprise and supplier development programmes also featured, although to a far lesser extent, with 14 percent of respondents having been part of these, indicating that more can be done to educate entrepreneurs about various ESD programmes available together with clear information on participation requirements. Globally, the importance and benefits of increasing the economic participation of women are well understood. In South Africa, support for black women and youth entrepreneurs in particular continues to be critical to unlocking South Africa’s entrepreneurial potential. Recently the World Economic Forum (WEF) issued its annual Global Gender Gap Report which found that should current rates persist, it will take 100 years before women achieve equality in the four areas measured by the WEF including political empowerment, economic participation, health and education. In South Africa we still have much work to do, but there are promising signs of change as the gap between the number of male and female entrepreneurs begins to narrow slightly, proving that efforts focused on the development of women owned businesses do pay off. Given that entrepreneurs and small businesses are being tasked with the massive responsibility of reviving the economy and creating millions of new jobs, we owe it them to improve the entrepreneurial ecosystem and ensure an enabling environment for businesses to grow and thrive. Better and more robust engagement with policy makers and providers of financial and non-financial support is one place to start. Taking into consideration the ambition of the task, determined vision and leadership are needed from all sections of society as soon as possible.